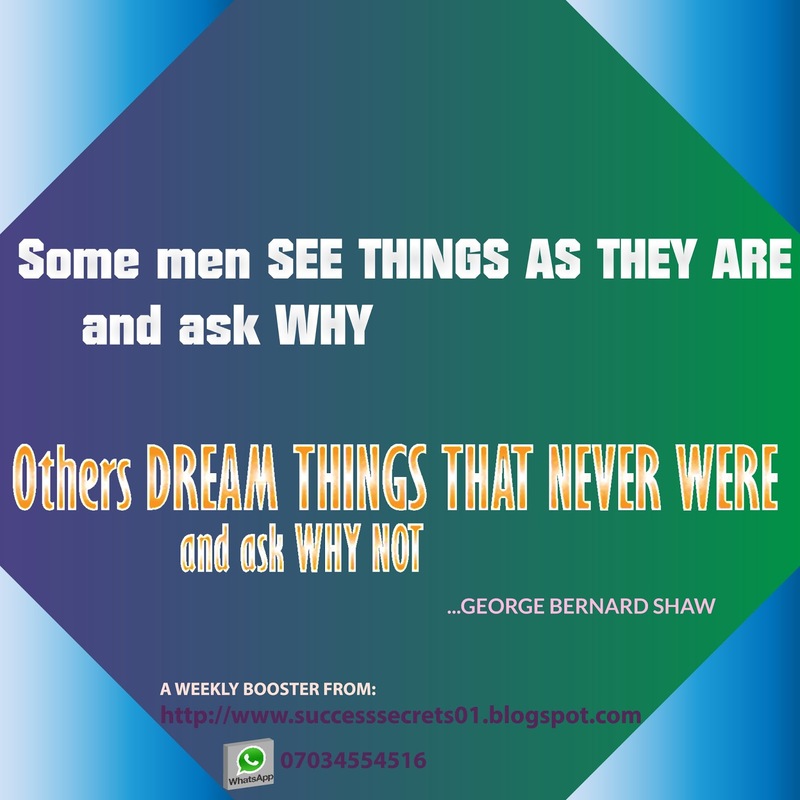 SUCCESS SECRETS: WEEKLY ENERGIZER: DREAM THINGS VRS SEE THINGS? HAPPY NEW WEEK TO EVERYONE! Today's weekly energizer is from the great Nobel laureate, George Bernard Shaw. Some men SEE THINGS AS THEY ARE and ask WHY.Others DREAM THINGS THAT NEVER WERE and ask WHY NOT. It is very apt that we are considering this for the new week. There are several vital points which can be gotten from this quote of Shaw if we decide to expatiate on it. 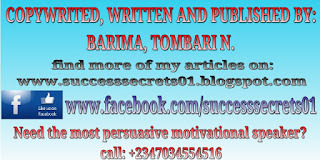 However, weekly energizers from success secrets are not meant to be long epistles but rather short thought provoking boosters for the week. As you start the week, you are going to see many things in your home, in your life, in your office, in your relationships, etc that are uncongenial. What will you do about them? are you going to fume and fuss ask why and take the victim stand or ARE YOU GOING TO GET A CLEAR IMAGE(DREAM) OF THE IDEAL THING/CIRCUMSTANCE AND UTILIZE YOUR GOD GIVEN TALENTS TO ACHIEVE THEM? keep visiting the weekly Energizer section every Monday morning to kick start your day with an inspirational thought provoking quote and commentary.